As the demand for skilful digital marketers in Hong Kong continues to grow, the monthly salary median for digital professionals is among the highest in the marketing landscape, a recent analysis from CTgoodjobs shows. The survey, revealed at last night’s marketing salary survey panel hosted by the Hong Kong Institute of Marketing, shows the highest workforce demand is in brand management, seeing 2,800 job openings as of March 2015; that is followed by the B2C sales sector with about 1000 job vacancies, 600 vacancies in public relations and corporate communications, and 400 to 600 empty spots in the advertising account servicing field, including both general and digital executives. 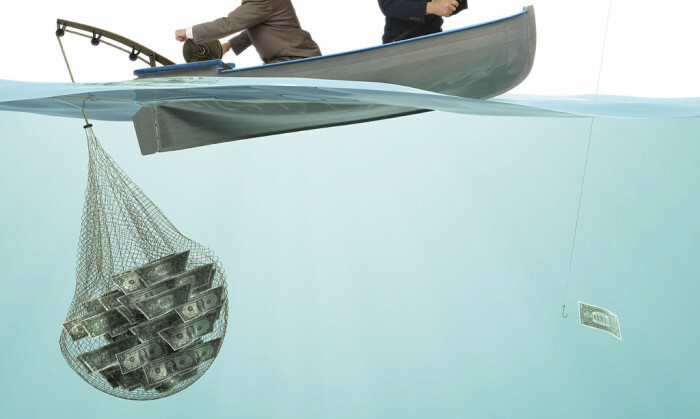 While marketing seems like a sought-after industry, employees in this area are not paid especially well. 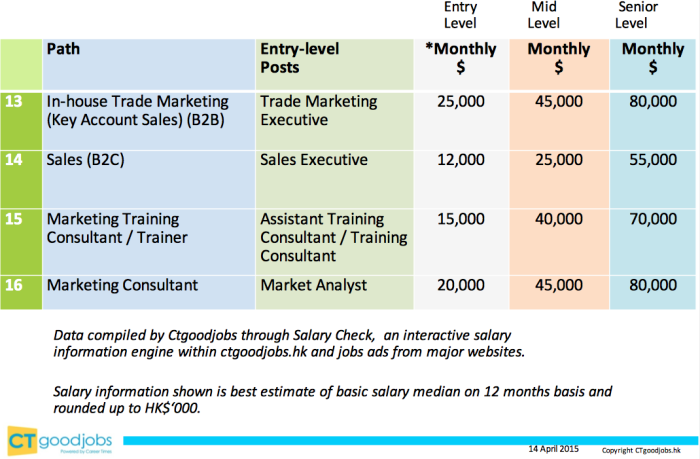 According to CTgoodjobs’ analysis, marketing executives working for in-house brand marketing management receive a median monthly wage of HK$14,000 for employees on entry level; HK$35,000 for mid-level and HK$70,000 for senior-level. 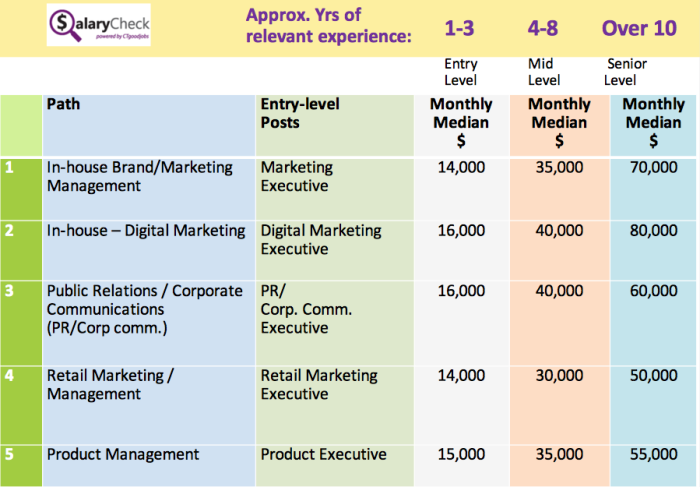 Average monthly wages for digital marketing executives, not surprisingly, are slightly higher, recording HK$16,000, HK$40,000 and HK$80,000 for entry level, mid-level and senior-level respectively. Below are more median salary numbers in different marketing areas from calculating tool SalaryCheck, powered by CTgoodjobs. 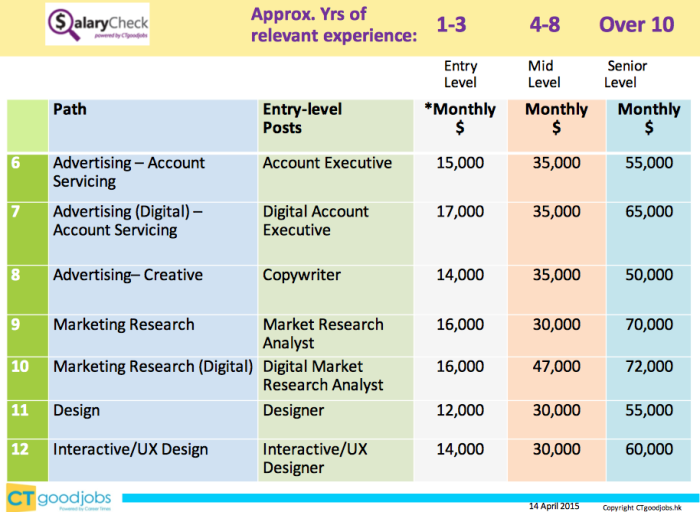 Likewise, digital experts on the advertising agency front receive the highest monthly wage rate at about HK$17,000 (entry level), HK$35,000 (mid-level) and HK$65,000 (senior-level). However, interestingly, the lowest rate goes to creative, receiving only HK$14,000, HK$35,000 and HK$50,000 for entry level, mid-level and senior-level respectively. To prepare for the changes, Chan suggests new marketers have to equip themselves with operational skills and data skills with a grasp of the big picture, while companies have to put more investment into digital and data. Digital ad agency Profero will close its Hong Kong operation after six years to focus on building up its Greater China business in..
An agency specializing in analytics-based ROI-first campaigns, Hawthorne sees Hong Kong as a prime location with the perfect infra.. Here are three tips for making it in the online travel marketing world where automated generation of ad creatives and programmatic..